Home » Blog » Landscaping Tips » Can Hardscaping Be Done in the Winter? We are often asked this question from our clients and potential clients. The assumption here is the client already knows the definition of hardscaping. So let us discuss what is the meaning of hardscaping before we provide an answer to the question. Residential Landscaping is a general umbrella term defining a broad array of services for your yard. Landscaping has been broken down into categories termed: hardscaping, softscaping, nightscaping, and general maintenance services. 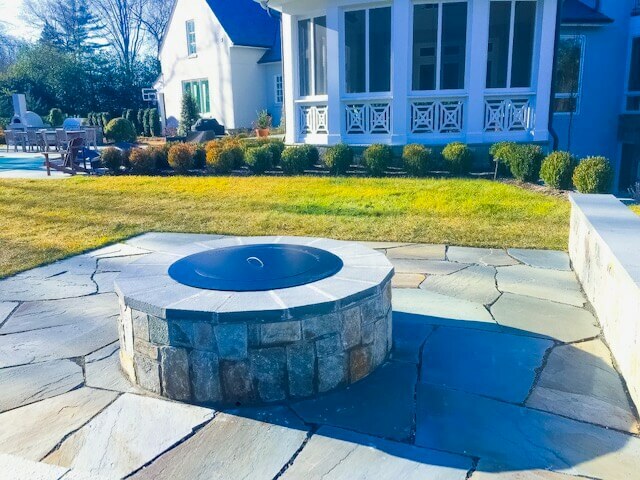 At O’Grady’s Landscape, we define hardscaping as any landscape installation that uses stone or pavers to produce products such as patios, walkways, backyard fire pits, fireplaces, outdoor kitchens, outdoor living spaces, retaining walls, paths, and special features like waterfalls and ponds which enhances a property. To answer our client’s question we need to ask, can these materials be installed in the colder winter months that we often see here in the Northern Virginia area? The simple answer is YES! 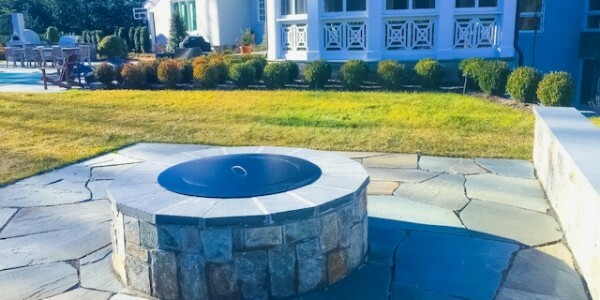 O’Grady’s Landscape installs attractive and functional hardscapes year-round, but some weather variables affect the timing of implementing certain stages of some hardscape installations. For example, O’Grady’s cannot pour concrete when it’s below freezing. The crews also are unable to dig into the ground when it is completely frozen without using heaters. Temperature variations and duration play a role in our planning and implementation of our hardscape masonry products. We have been in business since 1991 and are well versed in the strategies of planning around and through weather events to keep projects on schedule. Weather is our business as much as landscaping is our product! 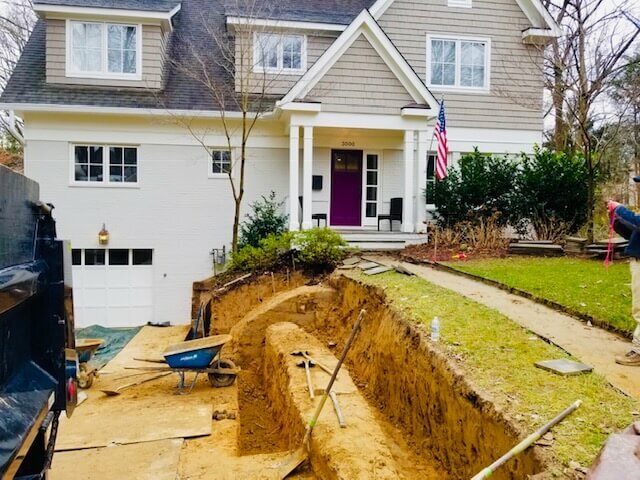 Pictured is a hardscape retaining wall and walkway that we are currently installing which will add to the homes curb appeal and functionality. The photo was taken during the 2019 winter landscape season in North Arlington, Virginia. We will directly assign a landscape design professional team member who will contact you for a free consultation appointment. Arlington, Falls Church, Vienna, McLean, Great Falls, Oakton, Reston, Herndon, Sterling, Potomac Falls, Brambleton, Cascades, Ashburn, and surrounding areas. Please feel free to contact us by phone at 703-533-5001, and email at [email protected] One of our professional landscape designers would be delighted to discuss your landscaping ideas with you and guide you in achieving your home dreams.